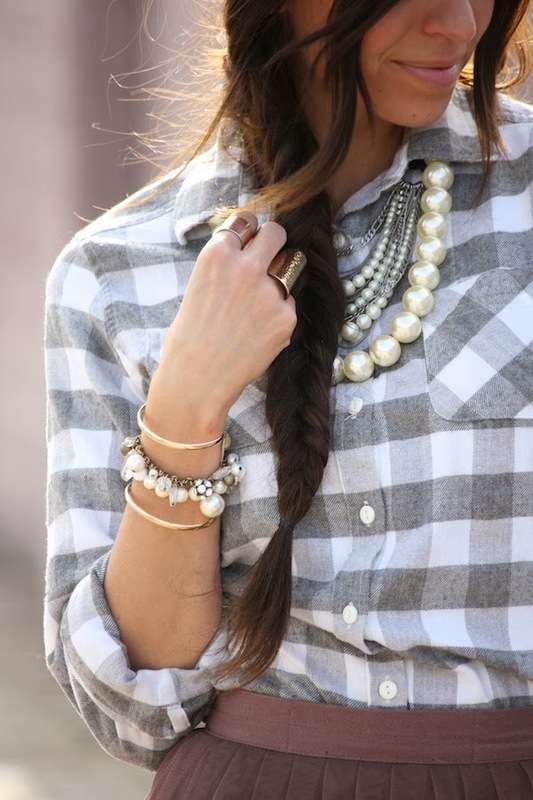 possibly one of my favorite outfits that has the perfect mix of casual and dressy! i found this skirt and fell in love with the color and texture and have had fun pairing it with a few different tops (this gingham being a favorite!) i love adding a little edge with the black tights and snakeskin clutch but keeping it girly with the pearls! hope you've all had a great week and are as ready for a weekend as i am! wow! very feminine and lovely! you look great! Wow great outfit! Love the skirt and with the plaid I never would have thought of those together! Ohh this is cute! I haven't see these paired together! Love it! This is such a cute take on a festive look!